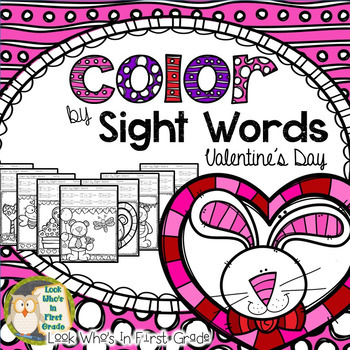 Color by Sight Words Valentine's Day is a fun way to help your students practice their sight words! 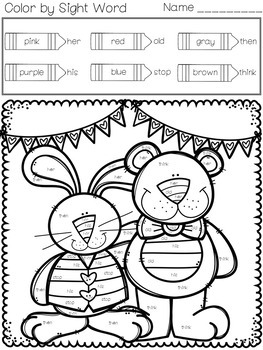 This packet has fourteen Color by Sight Words pages with six words per page. The packet includes all of the sight words from the Dolch First Grade list. 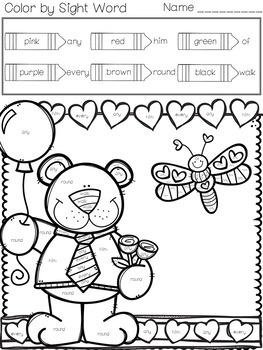 The words included in the packet: after, again, an, any, as, ask, by, could, every, fly, from, give, going, had, has, her, him, his, how, just, know, let, live, may, of, old, once, open, over, put, round, some, stop, take, thank, them, think, walk, were, when. 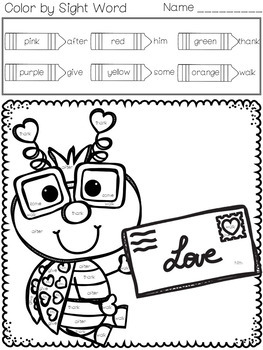 I hope your students enjoy learning their sight words with Color by Sight Words!